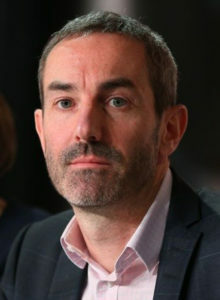 Ignacio Saiz is Executive Director of the Center for Economic and Social Rights (CESR), a role to which he was appointed in 2009. Prior to joining CESR as research director in 2006, Saiz was director of policy at the international secretariat of Amnesty International, where his responsibilities included overseeing the development of Amnesty's research, campaigning and advocacy on economic, social and cultural rights. Previous roles at Amnesty International have included deputy director of the Americas Program, policy coordinator and Central America researcher. He has also worked as a freelance human rights consultant for several other organizations in areas relating to sexuality and human rights, the prevention of torture and post-conflict accountability. Ignacio holds an LLM in international human rights law with distinction from the University of Essex.